Twenty years ago today, on 21st March 1999, Pokémon Snap was first released in Japan. 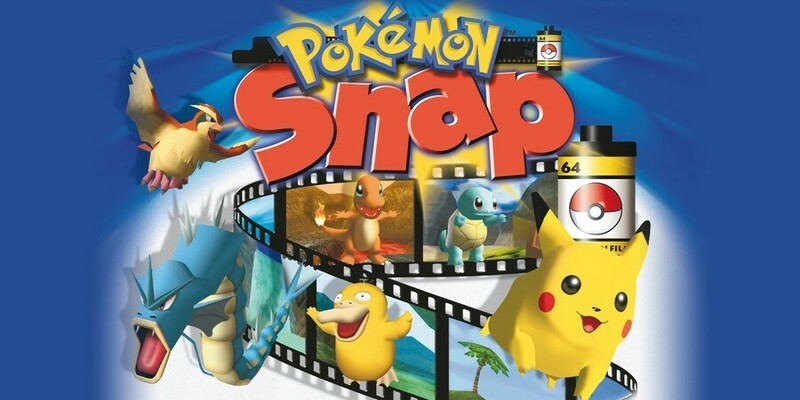 A Nintendo 64 exclusive, Pokémon Snap follows the adventures of Todd Snap, a Pokémon photographer who is tasked with taking perfect shots of the adorable critters and showing them to Professor Oak for inspection. It features 63 of the original 151 Pokémon from Pokémon Red and Blue, with some only appearing after certain criteria are met by the player. If, like us, you're now feeling older than Professor Oak himself, know that the western releases for the game actually arrived several months after the Japanese launch. North America first got the game on 30th June that same year, but it didn't make its way over to Europe until 15th September 2000. Despite gaining a loving fanbase and being the eleventh best-selling game on the N64, Pokémon Snap has never received a sequel. It has seen re-releases on the Wii and Wii U Virtual Consoles, but the idea has never been expanded upon; Game Freak's Junichi Masuda once talked about a sequel needing to have "cool ideas" to work for the current generation of players. The latest Nintendo systems have all felt perfect for a new game in our eyes - the 3DS' camera, the Wii U's GamePad, and the handheld gyro capabilities of the Switch - but there's still no sign of something new. Hopefully it'll happen one day. Do you have any fond memories of playing Pokémon Snap? Would you like to see a sequel or even a remastered release of the original? Share your thoughts on the game with us in the comments. I rented this from Blockbuster like 5 times but never bought it. It hit at the peak of the Pokemon craze and until Pokemon Stadium launched the next year, it was the only way to see them in 3D which was the major appeal. Good times. The concept would work great with the Switch as well. I still remember the Mew level where he isn't visible until after the pictures are developed. i would love to see a sequel. i don't care if it was on labo vr or the switch itself. 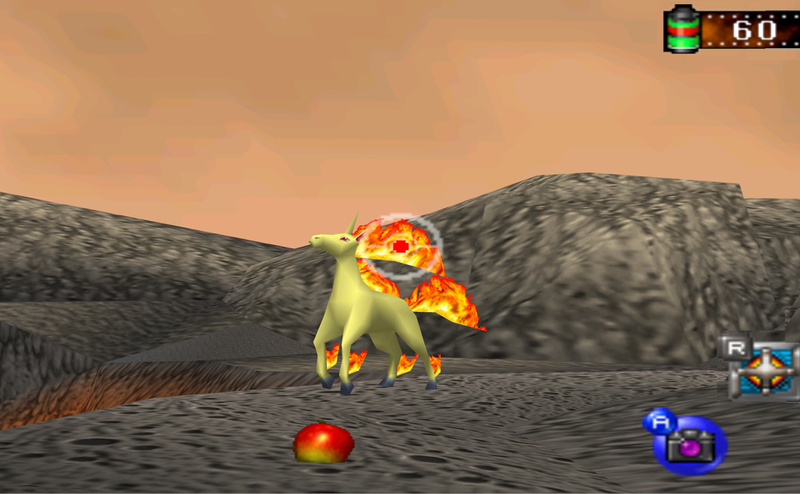 Pokemon Snap 2 would be alot of fun to play. Why do I have the feeling that if there was a new Snap game, it would be on mobile? Pokemon GO allows the taking of AR photos, so they may already have a base for that. Personally, I would rather have a Switch version with gorgeous environments. @Aozz101x We are long overdue a sequel of sorts. I see a lot of potential in something like that. Photographer who wanders the world with their pokemon trainer friend, taking photos of battles for the news, snapping them in the wild or at contests for magazines, rare photos for collectors, and then being able to share them on social media or printing them out. I think people would really enjoy something like that. I'll have to play it today. I don't understand why it's fun. Stuck on rails, albeit with a pretty damn cool train thing, and only taking pictures, it just doesn't sound like a winner. Anyways, yeah a sequel would be nice! Loved this game as a kid, dunno if I would anymore though tbqh. A 20-year anniversary is a great time to release a remake or sequel which utilises the Labo camera. They should just incorporate this into mainline pokemon. Plenty of other games are incorporating a camera function into the game to allow you to take pictures of your character and/or the world. Anywhere you want, hit the camera, aim the shot you want and snap the perfect filter, they even have options for lenses and filters and things like that. Some games even task you with snapping pictures of monsters to various achievements and a sort of alternate exp system that unlocks rewards. So why not just incorporate pokemon snap into pokemon? Even without grading the actual pictures for some kind of level completion players would just LOVE to be able to take pictures of the world and the pokemon living in it and doing pokemon things. So why don't they do this? Oh right it's gamefreak, we know exactly why now. This is the only Pokémon spin off that I would be willing to buy. They tried to add something like this in Sun/Moon, but it was so barebones and useless than it became one of those one-time-use features that GF usually puts in Pokémon games. It would be cool if they add that feature and implement it in a somewhat useful way like in BotW. Picture this: You walk into a Pokemon Center and you see a Pokémon with their trainer. You pull out your camera and take a picture of it, that logs into our Pokedex and it also shows where you could find it. That would be cool and would add more to the game than the useless feature we got in Gen VII. "They tried to add something like this in Sun/Moon, but it was so barebones and useless than it became one of those one-time-use features that GF usually puts in Pokémon games." I was going to ask about that. Odd, since games like Smash, LoZ, and BotW have lots of camera features available at pretty much any time. A sequel to this would have so much potential. I just really would love a Pokémon game where you can see hundreds of Pokémon in their natural habitat and all. Preferably with free roaming ability but I'll happily take another on rails one if that's what it takes. @KingBowser86 The Pokefinder was more integrated into Let’s Go’s interpretation of Go’s catching mechanics than anything else. Which makes it seem like even more of a step backward for those of us who want a Snap sequel. I still want a sequel to this. I rented this game a lot back in the day and then bought it on Wii VC. Probably just the nostalgia, but I really do like this game. With modern technology the way it is now, a sequel would be awesome. One example, back then (early 00s) I had to go to Blockbuster to use their kiosk to pay and print stickers of my Pokemon pics. Now you can post on social media and save digitally. I’m still shocked on the appreciation Snap is getting now. I still remember some of the hate it got when it first came out, especially when it was the 1st console Pokémon game (even though it was successful and praised by critics). There are no Pokémon battles, you don’t have direct control (pre-set path), not all the Pokémon are in it, etc. It’s almost similar to Let’s Go series and the Core series with the fan base divide. It is actually a very clever idea. You couldn’t make a game where you go around shooting Pokémon with a gun. So you shoot them with a camera instead. I would love a sequel, but I’m worried it would have the same problem as Star Fox, where developers couldn’t figure out how to advance the formula. Pokemon Snap absolutely rules. Would love a sequel. I don't think a sequel will ever happen. Game Freak and TPC seem pretty content with how they lazily shoehorned the idea into the Sun and Moon games. I think GO also recently updated to include a more robust photo mode. I'd have to reinstall it to find out for certain, though. I have fond memories of knocking out that meowth at the beach. No nostalgia here as I just played the game for the first time last year on the Wii U VC. IMO the mechanics have aged well. Graphically, I think it looks better than a lot of N64 games. I'd fully support a sequel. @ultraraichu the funny thing is I suspect part of the praise for the game at this point, among other things, is the exact opposite of Masuda's reason for not making a sequel. He now that cameras are everywhere it's no longer special to make a game about photography. I think the exact opposite is true, I think more people have either an appreciation or just enjoy taking pictures so it's more interesting to them. I mean many games are implementing photography and Masuda is there saying nah no one cares about that anymore. @Dr_Lava Completely agree. Also, good to see you here. The 3DS AR seemed perfect for a Pokemon Snap sequel, as did the Wii U GamePad, but nothing ever came of either. Instead they brought Pokemon Go. Now the Labo VR with the camera attachment again looks perfect, but again there's no Snap. Maybe we'll be surprised at E3 with an eShop game with additional VR compatibility. @SamusLv7 Oh yeah I don't comment often, but I'm on this site all the time. Pretty much every time I roll outside for a cigarette. NintendoLife us definitely my daily Nintendo news site of choice. Seems like a no-brainer to make an AR mobile game out of. I would have died for a sequel on the Wii U.